Father’s Day: a celebration of the old man – dad. This year, the holiday falls on Sunday, June 17 to honor fatherhood and paternal bonds. For those who celebrate the holiday, treat dad to a special weekend. Napa Valley offers a lot of activities to spend time with the father in your life. From hot air balloon rides Napa adventures, to brewery tours, to BBQ events, you can find a special activity to spend the day enjoying. “The Dad Abides” at CIA at Copia is a Father’s Day BBQ event featuring live music, tasty BBQ, delicious drinks, and a screening of The Big Lebowski. Since it starts at 1pm, you and dad will have time to enjoy a hot air balloon Napa adventure in the morning and then head over to Copia for some BBQ and movie time. Check out the hot air balloon rides Napa Brunch, so after your balloon ride you’ll have brunch at the Oxbow, which is across the street from Copia! Convenient. Get tickets today! Dads & Grads BBQ is on June 16th and 17th, so pick a day and head to Beringer for BBQ and special priced Private Reserve Cabernet and Knights Valley Reserve. Put an elegant spin on Father’s Day with this BBQ + wine event! Starting at 11:00am-2:30pm, you’ll have time for a sunrise hot air balloon Napa experience with pops! For the dad that enjoys Cognac and cocktails, The Meritage Resort and Spa is hosting “Hennessy Le Voyage: Master Class in the Art of Cognac and Cocktails” on Saturday June 16 at 7pm. Get your tickets today and show dad a truly unique experience! Make sure to book your hot air balloon rides Napa adventures in the morning first! In the end, it’s all about showing the father in your life how much you appreciate them. You may feel like giving dad the world – but how? Hot air balloon rides Napa adventures are as close as you can get. See the world form a new point of view – dad will be mesmerized as you climb high into the sky and overlook the gorgeous Napa Valley terrain. Glide through the clouds on a hot air balloon Napa style! 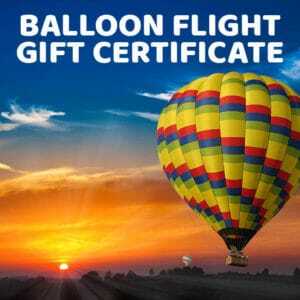 We offer many hot air balloon Napa packages that can be gifted as gift certificates to be redeemed whenever you want! Our hot air balloon Napa adventure consists of a wonderful balloon ride. Our hot air balloon Napa Brunch option includes a Michelin-awarded brunch and champagne. Our hot air balloon rides Napa Wine Tour package includes brunch and a famous wine tour! And if you’re traveling form out of town, we have a San Francisco transport + hot air balloon rides Napa wine tour package! So give the gift of flight with hot air balloon rides Napa adventures and check out the other events happening this Father’s Day!